Happy Lunar New Year! It’s the year of the dog and at Sprout we are animal lovers (plus I’ll use any excuse to share pics of our newest family member Mr. Smokey McSmokerson!) 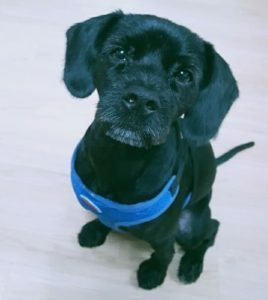 He was rescued from the mean streets of Incheon after being full trained and then later abandoned. We have made him a part of our little modern family. This week we are happy to support the Anonymous for the Voiceless. One of our well known and politically active Sprout customers is making a special batch of vegan Chocolate Coconut Mousse! The 5,000 krw will be donated directly to their fundraiser. You can learn more about Anonymous for the Voiceless and their current events here. We also have a great food delivery and take out menu this week! African Peanut Stew is the epitome of “Stick to your ribs” goodness! Lentil Tacos with incredible homemade salsa and a couple of old favourites are back: Asian Curry Lime Fried Black/Brown Rice with Mixed Veggies and the Moroccan Tomato Harira Stew. This week’s Pasta dish is the Garlic Alfredo Pasta with Mushrooms and creamy Alfredo Sauce. As if that wasn’t enough we’re also going to go ahead and throw some stir-fried mushrooms in there! The Salad Bowl line up is a triple threat of Caesar with Tempeh Bacon, Thai Vegetable Curry Bowl, and the Fajita Bowl! It wouldn’t be Sprout if our Chef didn’t come out of the kitchen laboratory with a new dish to try and this week she decided to bake Whole Wheat Chocolate Chip Cookies! Made with specially sourced tofu, a first for Sprout, these cookies come 3 to a pack but you don’t have to eat ’em all at once! Oh and if you haven’t dug into a Chocolate Avocado Cake with Creamy Chocolate Frosting from Sprout before you’re missing out on one of the best (and Postal Delivery friendly) desserts available in Korea. Check out the full menu below or just Order Food Here. 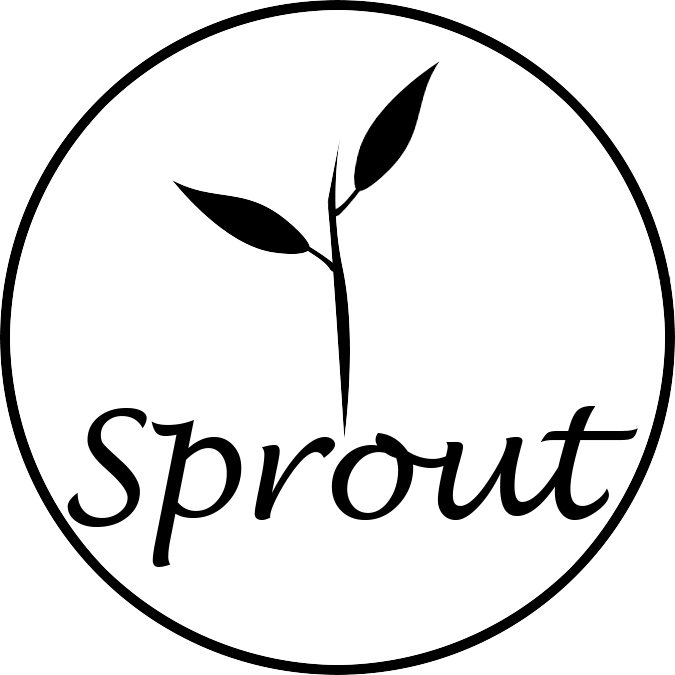 Sprout’s Healthy Food Delivery Menu for Feb 18, 19 delivery and pick up. Made with Sweet Potatoes, tomatoes, onions, garlic and spinach and brown rice. Lentil Taco Meat, Mixed leafy greens, purple onions, cherry tomatoes, paprika. 100% Whole Wheat Pasta with a creamy garlic Alfredo sauce and stir fried mushrooms..
With onions, carrots, tomatoes, red lentils, chickpeas, parsley, cilantro. With leafy mixed greens, cherry tomatoes, broccoli, carrots. Rice on the bottom, Stir-fried peppers, onions, and mushrooms and zucchini in faijta spice and greens and cherry tomatoes on top. * Fry mix in coconut oil for a few minutes each side until crispy brown. Fundraiser Event: Chocolate Coconut Vegan Mousse (5,000) * All proceeds go to Support Anonymous for the Voiceless Seoul.